Product prices and availability are accurate as of 2019-04-18 13:37:56 UTC and are subject to change. Any price and availability information displayed on http://www.amazon.com/ at the time of purchase will apply to the purchase of this product. S.A.C. 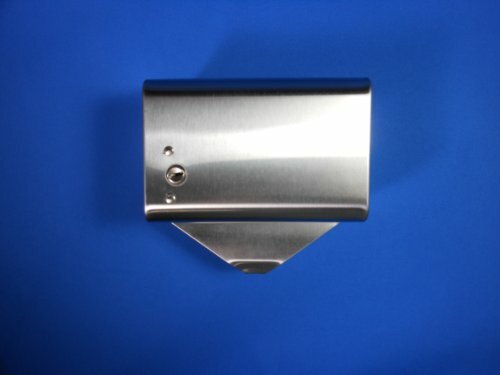 Sanitary napkin and tampon disposal bag dispenser, brushed stainless steel, 1 unit, single roll format, with lock. 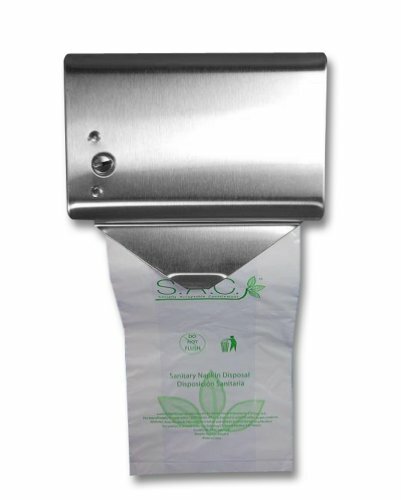 Lockable, attached front cover conveniently opens upward to load a roll. Easy installation in ladies restroom stalls. 22 Gauge steel, welded with piano hinge. Keyed lock. Wall or partition mountable. The dispenser measures 5-1/4-inches length by 5-1/8-inches width by 3-1/2-inches height. For use with S.A.C. sanitary napkin disposal bags, roll format (SR9010). Capacity 125 bags.